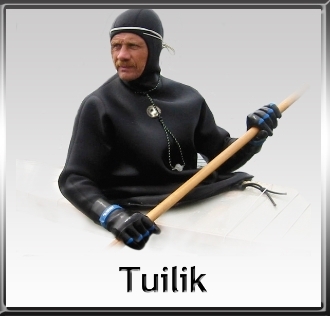 The tuilik is a very warm and dry garment designed for paddling in unforgiving cold conditions. It is meant to be roomy and not restrict movement in any way. Order Extra Large if you are over 6' and over 200 lbs.